Explore new range of LCD/ LED & 3D Smart televisions with Panasonic and LG. 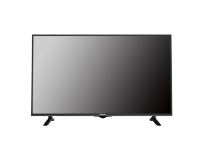 You can see list of our Panasonic TH-43D350DX VS LG 40UB800T below, perform Side-by-Side comparison. If you need further help, do have a look at Conzumr Guides and Tips. Alternatively you can view all Television to choose your own favourites. Panasonic is a renowned name in electronics products. It is also known for the quality products that contributes in improving the lifestyle of its customers. If you are looking for a home entertainment system, that makes pictures come to life on screen, then you are on the right place. Panasonic TH-43D350DX Full HD LED TV with IPS LED Super Bright, FHD, 178 Degree Viewing Angle, HDMI*3, USB*2, PC input and other brilliant features that makes you feel as if you are having a cinematic experience at the comfort of your home. LG 4K ULTRA HD presents a whole new level of picture quality, boasting a resolution four times higher than Full HD. Naturally, it is incredibly vivid and crisp, even when viewed from close distances. LG ULTRA HD TV will thoroughly satisfy the viewer with flawless detail, lifting the standard of visual display yet higher. 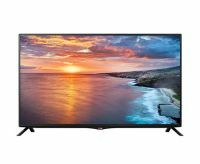 43 " TH-43D350DX : 43 "
40 " 40UB800T : 40 "
To Recieve updates and possible rewards for LG 40UB800T please sign in. To Recieve updates and possible rewards for Television please sign in.